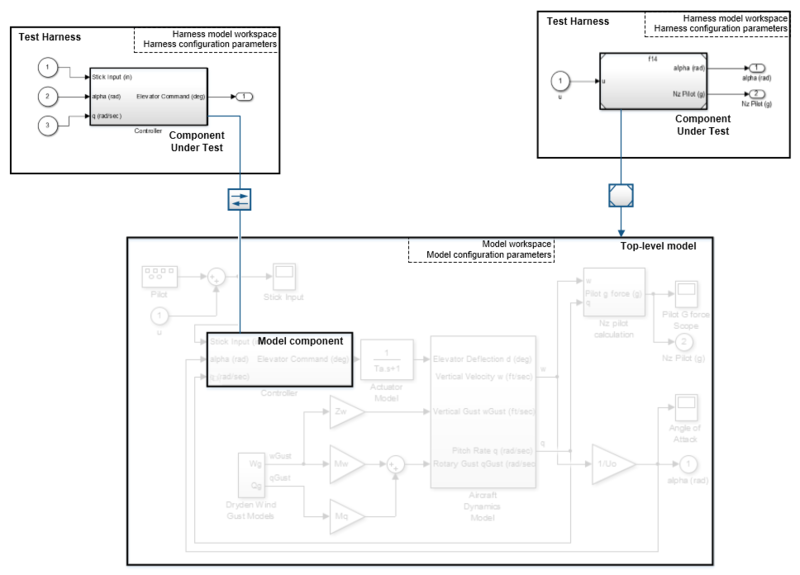 A test harness is a model block diagram that you can use to test, edit, or debug a Simulink® model. In the main model, you associate a harness with a model component or the top-level model. The test harness contains a separate model workspace and configuration set. The test harness is associated with the main model and can be accessed via the model canvas. A model component, such as a subsystem, library block, or Model block. The test harness isolates the component in a separate simulation environment. A top-level model. The component under test is a Model block referencing the main model. When you associate a test harness with a model component, the harness model workspace contains copies of parameters associated with the component. This example shows a test harness for a component that contains a Gain block. The harness model workspace contains a copy of the parameter g because g defines a part of the component. The parameter h is the gain of a gain block in the harness, outside the component under test (CUT). h exists only in the harness model workspace. When you associate a harness with the top level of the main model, the harness model workspace does not contain copies of parameters relevant to the component. The component under test is a Model block referencing the main model, and parameters remain in the main model workspace. In this example, the component under test references the main model, and the variable g exists in the main model workspace. The variable h is the value of the Gain block in the harness. It exists only in the harness model workspace. Parameters in the test harness resolve to the most local workspace. 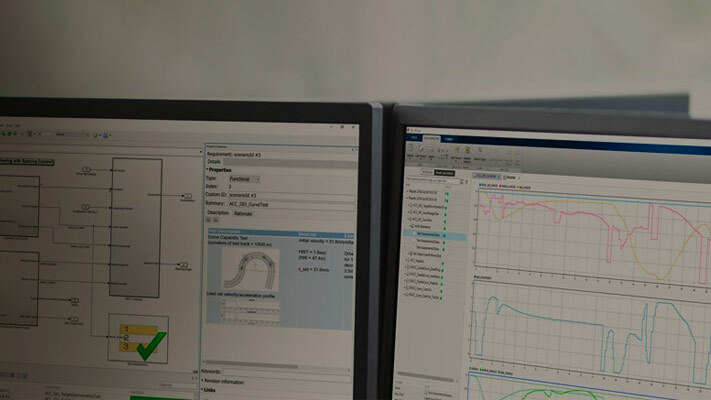 Parameters resolve to the harness model workspace, then the system model workspace, then the base MATLAB® workspace. You can open only one test harness at a time per main model. Do not comment out the component under test in the test harness. Commenting out the component under test can cause unexpected behavior. If a subsystem has a test harness, you cannot expand the subsystem contents into the model containing the subsystem. Delete the test harness(es) before expanding the subsystem. For more information see Subsystem Expansion (Simulink). Test harnesses are not supported for blocks underneath a Stateflow® object. Upgrade advisor and XML differencing are not supported for test harness models. For a test harness with a Test Sequence block source, all inputs to the component under test must operate with the same sample time.